ends Sunday November 6 at 5 pm. Everything in the shop is included in this sale, plus we will have a super-discount table in the center of the main room. 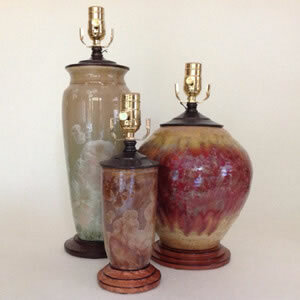 Lamps in our Archive Collection are no longer available. We will have a well stocked BARGAIN table in the center of the main room in the shop with lamps and shades discounted 50% and more. We also will be selling donated items out front (weather permitting) to support our local food banks in Alameda and Contra Costa/Solano Counties. Sunday, November 6 at 5:00 pm. 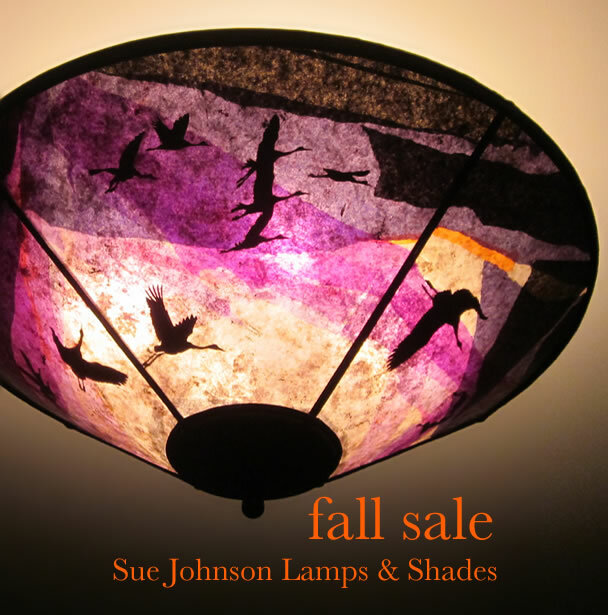 We just got a new group of potter Jim Fox’s crystalline glaze vases and have turned them into a series of lamps that go beautifully with our mica lampshades. 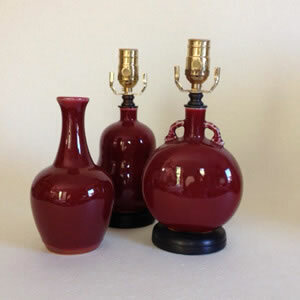 Rich golds and reds, subtle greens and russets, the lamps are each unique. They come in various shapes and range in height between 9″ (the smallest in the photo here) and 24″ (not pictured) and are offered at 30% off during our Fall Sale!